Portugal’s Tiago APOLONIA, replaced Patrick BAUM of Germany at the position no. six at the new, October’s ETTU Rankings. BAUM is seventh, whilst one place below is Andrej GACINA of Croatia. GACINA moved up from spot no. 11. Panagiotis GIONIS of Greece is ninth. 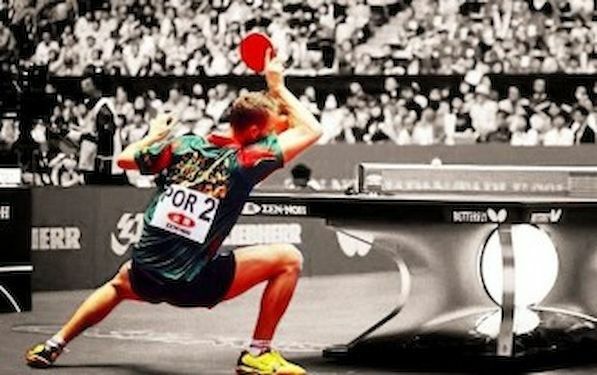 At the top Dimitrij OVTCHAROV and Timo BOLL of Germany, Vladimir SAMSONOV of Belarus still holds their positions. Germany’s HAN Ying is at the top of the Women’s Rankings. LI Fen of Sweden moved up to position no. two and replaced LIU Jia of Austria. Elizabeta SAMARA of Romania is fourth. At the top position in Men’s U21 Rankings is Liam PICHFORD of England, followed by Simon GAUZY of France. Stephane OUAICHE of France progressed from position no. seven to place no. four. Sofia POLCANOVA of Austria, Petrissa SOLJA of Germany and Bernadette SZOCS of Romania are the top trio in Women’s U21 rankings. Dora MADARASZ of Hungary moved from spot no. seven to place no. five. Can AKKUZU of France is again at the top of Junior Boys Rankings. David REITSPIES of Czech Republic lost his position as DIOGO Chen moved to spot no. two. Nina MITTELHAM of Germany is best ranked junior girl, Lea RAKOVAC of Croatia is second and Chantal MANTZ of Germany is third. In Cadet boy’s list Cristian PLETEA of Romania is first; his compatriot Rares SIPOS is second and Nolan GIVONE of France is third. Denis IVONIN of Russia progressed from seveth to fourth position. Adina DIACONU is at the top of Cadet Rankings, Lisa LUNG of Belgium is placed at position no. two and Maria TAYLAKOVA of Russia is third.